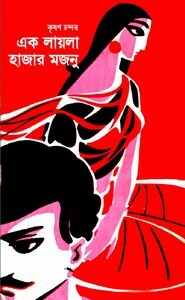 Ek Layla Hazar Majnu an Anubad ebook pdf file. 'Ek Layla Hazar Majnu' is a translated book, it has translated from the famous novel 'Ek Ourat Hazar Diwane' which is written by prominent Hindi novelist Krishan Chandar and the book translated into Bangla by Akhtar Un Nabi. The story originally writing about the base on love story of a gypsy girl. She wanted to love and family, What's she got? read the book to know that. The boi pdf has 174 HQ pages, 3.17mb pdf size.